Kimpton Cooper is an accomplished forester and forestry leader, and he currently serves as the District Ranger on the Angelina Sabine Ranger District in East Texas. 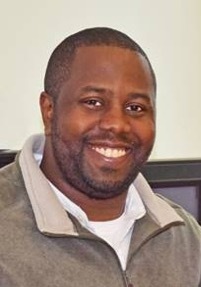 Kimpton earned his forestry degree by attending Tuskegee University and Mississippi State University and then going on to earn his Masters of Environmental Management at Yale University, with a focus on forest policy. Throughout college and graduate school, Kimpton worked as an intern with the US Forest Service and continued his distinguished career with them in the Pacific Northwest on the Umatilla National Forest, becoming a full-time employee as a National Environmental Policy Act Planner. When it comes to diversity, Kimpton emphasizes the importance of looking to the future to make proactive changes that will make an impact on generations to come. In this episode, he recommends: “Work towards the job that you want, and take on new risks to push yourself further.” Listen now to the rest of his story and get more insights on his career and yours. [1:35] A quick intro to Kimpton’s background. [4:05] How did Kimpton get into forestry and natural resources? [9:45] What does Kimpton mean by having a social license? [11:40] Kimpton shares the types of jobs he’s done throughout his career. [19:00] You vote for what’s important in your professional and personal life by where you allocate your time. [19:35] What was Kimpton’s first leadership position like? [26:15] What did Kimpton wish he had learned sooner about leadership? [30:05] Most people aren’t listening; they’re reloading! [30:35] What is Kimpton most proud of in his career? [35:35] Kimpton is amazed that he gets paid to work in forestry! [37:25] Kimpton shares his experiences of being a minority in a predominantly white male field. [47:00] What advice does Kimpton have for young folks out there? [50:25] It’s okay to try and not succeed. If you never fail, you’re not trying hard enough. [56:50] Kimpton offers a suggestion on how to better include diversity into the industry. [1:08:10] The hard challenges you face today will make you a much better person and leader in the future.